The polo shirt combines comfort, sportiness and chic style. 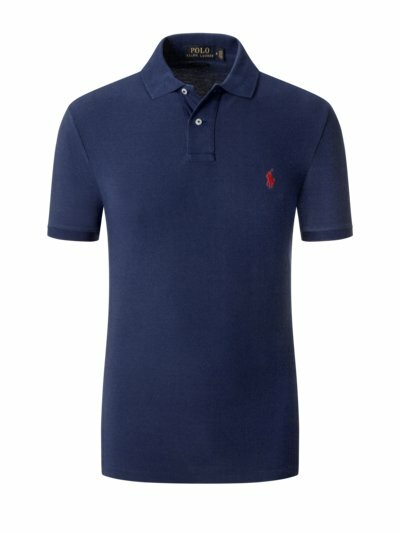 If a T-shirt is too casual, but a shirt is too formal, the practical short sleeved polo shirt is the perfect middle ground! Originally developed for sport, the famous Lacoste polo shirt has today become an absolute classic and a favourite garment for men. The comfortable fit and soft cotton pique are key reasons why the shirt is so popular. It is also the perfect alternative to a shirt and to be more elegant also to a T-shirt in many cases. Characteristic features of a polo are the collar and the button placket, as well as the cuff on the sleeve. The classic short sleeve model is a garment with a high level of comfort, and is perfect for combining with all kinds of outfits, especially in warmer temperatures. If you want to create an elegant and stylish outfit, pair it with chinos or slacks. But even combined with jeans, the polo shirt still creates a great look. When it gets colder outside match your polo with jackets and hoodies. Our tip: when a polo shirt fits perfectly, the hem should sit at hip level and the sleeves should end about ten centimetres above the elbow. Are you looking for a plus size polo? We offer a wide selection of polo shirts and sleeve polo shirts in sizes from XXL, 3XL, 4XL, 5XL, 6XL up to 7XL and 8XL. In our online shop, you will find many colours available: dark blue, blue, grey, black or red, but also a wide range of polo shirts with bold patterns, stripes and great prints. The options for outfit combinations are practically endless. It is worth to mention that polos for men are also available in a long-sleeve variant. On colder days you can style them together with knitted pieces. Mens polo shirts should not be missing in your wardrobe and if you are not sure about the size, please check our size guide. Polos like shirts are having different cuts. 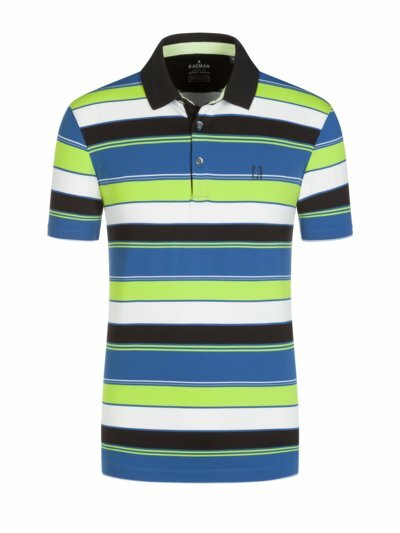 Regular-fit striped polo shirts and in Slim-fit polo shirts are the most popular among all.